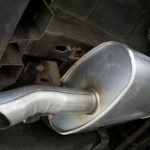 The exhaust system on your vehicle is more significant than you might think. Besides reducing the noise created by your engine, the exhaust system directs harmful gases away from the cabin, helps cool down the engine, and most importantly, cleans the air before exiting the tailpipe. Identifying exhaust issues early on will keep you safe and keep your wallet full. Listen for odd sounds. 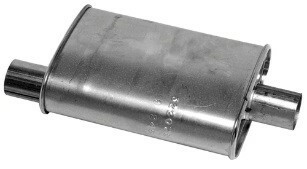 If the muffler is starting to fail, the engine sounds won’t be dampened as much. Rattles or thumping type noises. 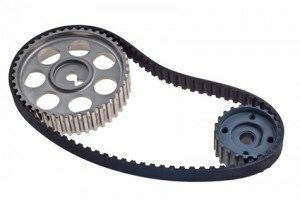 Some vehicles have baffles that can open and close to make the car louder or quieter. 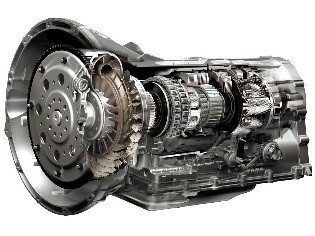 Over time the linkages that hold the door can break or become loose causing a rattling noise. A heavier thump typically indicates the mounting may be loose or damaged. The exhaust system is held up with metal and rubber brackets. Over time the rubber gets brittle and falls apart. Identifying symptoms early is very important because it can mean the difference between replacing a small piece of rubber or a whole piece of exhaust. If the mount fails, the exhaust pipes can fall or rattle around and dent while you are driving. Strong gas smells. Although carbon monoxide is odorless, the other gases created are not. If you notice a smell inside the vehicle, there is probably a leak somewhere in the exhaust. Immediate inspection is recommended as carbon monoxide inside the cabin can be very harmful. 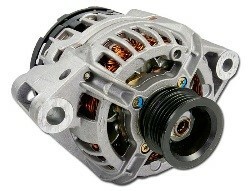 Reduced gas mileage and loss of performance. 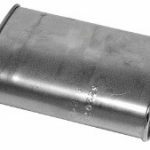 If an exhaust line or muffler is blocked, the engine must work harder to push exhaust leaving less power to give the wheels. 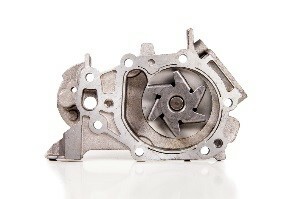 A blocked exhaust can also cause the engine to run hotter creating overheating concerns.